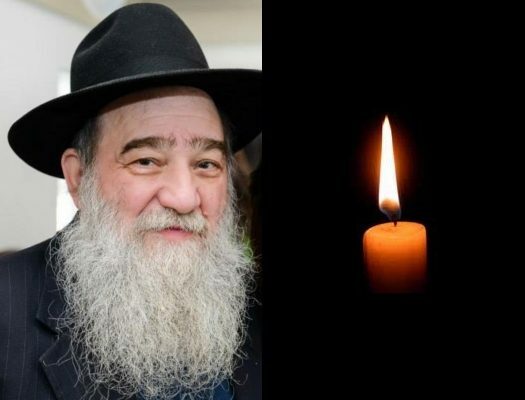 With sadness we inform you of the passing of Rabbi Yosef Tzvi Volovik, OBM, a beloved father, grandfather and longtime member of the Crown Heights community, after a short illness. He was 71 years old. 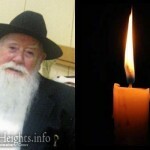 Born in 1946 to an illustrious lineage, his grandfather, R’ Eliyahu Eber, was the famous Mashpia in Nevel, older brother of the Rosh Yeshiva of Tomchai Temimim, Reb Yehudah Eber. His father, R’ Chaim Volovik, risked his life to assist in the transport of Chassidim out of Russia. For the next twenty five years, he continually ran from the KGB, and hence raising his children as Frum Lubavitchers in Russia was done with great Mesiras Nefesh. Rabbi Yosef Volovik , at the young age of 17 years old, known for his brilliant mind, taught many Jewish students in the underground yeshiva in Samarkand. As a young Bochur in Russia, he also memorized the Likutai Amarim Tanya Baal Peh, as a gift for the Rebbe. After many requests to leave Russia, in 1971, a newly married Yosef Tzvi with his wife Sarah were finally granted permission to leave the Iron Curtain. Several weeks later, they traveled to the Rebbe for Yechidus. 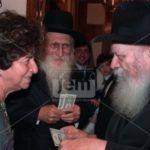 The Rebbe informed the young couple that they must move to Crown Heights due to their ability to teach, mentor & spread Yiddishkeit to the many Russians immigrating to America at that time. Thus began their life Shlichus of mentoring, caring for, and teaching Russian Jewry. Rabbi Yosef Volovik has since been very involved in the F.R.E.E. organization, Gabai for the Shul for over forty years, and many other projects. His many lectures conveyed his tremendous Lamdonus as he utilized his photographic memory to quote Baal Peh many parts of Gemarah and Sichos easily. Many described him as an “Ish Chesed” due to the countless loans he gave to so many in need. He is survived by his wife, Sara Volovik; children, Aida Junik (Crown Heights), Chani Junik (Crown Heights), Levi (Shliach to Berkshires, MA), Chumy Ezagui (Shlucha to Lake Success, NY), Shmuly (Shliach to Western Monmouth County, NJ); and many grandchildren and great-grandchildren. He is also survived by his brother Eli, living in Nachlas Har Chabad, Israel. The Levaya will take place today, Wednesday, leaving from Shomrei Hadas Chapels at 1:00pm, and passing in front of 770 at 2:00pm. Shiva will be held at 461 Empire Blvd. Shachris – 9:00am and 10:00am. 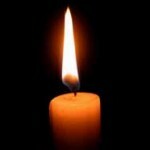 Mincha and Maariv – 7:15pm. At the family’s request, please refrain from visiting between the hours of 2:00-4:00pm, or after 9:00pm (aside for Motzei Shabbos). What a loss! He always had a smile on his face. The world has lost a gem! a true Ish Chessed!